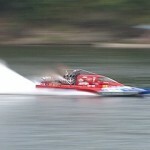 The driver of a top-fuel drag boat is killed when his boat crashes at 217 miles per hour. The accident happened just before 4:00p.m. near Chouteau on the Grand River. 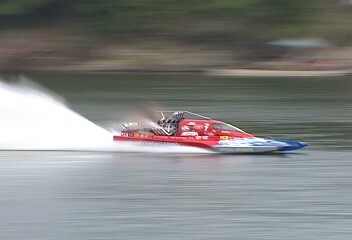 Drag boat racers from across the country have gathered there for the Southern Drag Boat Association race. Officials say driver John Haas was in the middle of a qualifying run when the boat began to skip across waves on the water’s surface. The boat’s left side hit the water, sending the fragile craft tumbling into several pieces. 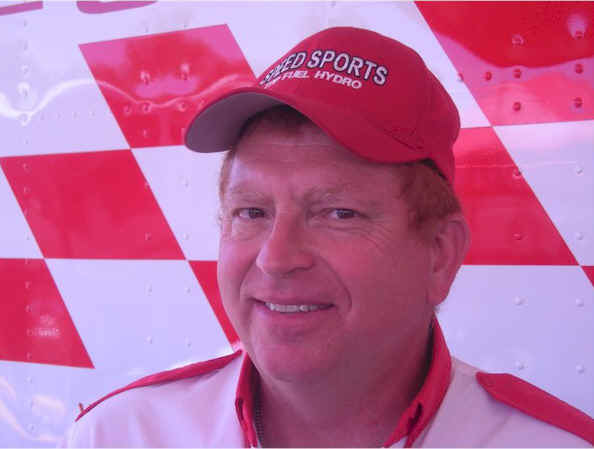 Haas, a Michigan native, was driving a boat he co-owned with a St. Louis based Speed Sports Racing. 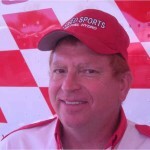 He was remembered at a chapel service held on the race site Sunday morning. He is survived by his wife and two children. The Michigan Motor Sports Hall of Fame is set to induct him in November. No one in the crowd was injured by flying debris. Race officials continued qualifying heats Saturday night, and will go on with their Sunday schedule as planned. The Speed Sport Special, driven by Mich. native John Haas, crashed in the middle of a 200 MPH run. At most drag boat races Sunday morning begins with a chapel service. “We know where John is this morning and this is what he would want us to do, keep on keeping on…” says a Chaplain for the drag races. “These people here at the races I am closer to these people than I am to my blood family I really am,” says Roger Monroe the announcer for the races. Monroe speaks of the hundreds of racers, spectators and sponsors. At the church service Sunday morning 391 people attended showing an outpouring of affection to John’s wife. Haas liked to race anything he could get his hands on and he’s a world champion behind the wheel. Monroe was there to witness it all including the final show Haas put on Saturday afternoon. “If that man thought in any way shape or form he done something to deter this sport or stop this sport his soul would not rest well,” says Monroe. Monroe calls haas an entertainer and others agree. Boat owner Lou Osman says Haas had everything it took to be the best in the sport. “When you get in there you just got to think that you are the boss, you are going to run that boat you are going to handle it, and you are going to win it,” says Osman. “A lot goes on real quick you don’t know it’s hard to say what happened in that capsule I’m sure John did what he thought was right,” says Monroe. Haas’s capsule was state of the art with 30 minutes of oxygen access and a roll cage. Race organizers tell News Channel 8 the capsule lost it’s windshield when it hit the water exposing him to the river. Osman says he’s been through some serious crashes before but this one could be the end of his business. “To tell you the truth, my heart’s not really in it right now I don’t know if we are going to do it anymore or not he’s awful hard to replace for a number or reasons,” says Osman. Both men say they knew haas for nearly 30 years and both agree, Haas died doing what he was most passionate about. “We should all be fortunate enough to die doing what we love,” says Monroe.